There’s a new kind of wine tasting in town! 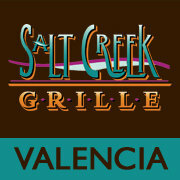 This time it’s on May 13 (2010) at Salt Creek Grille and benefits our own College of The Canyons Foundation. Skip Newhall, local resident leading the tasting, was kind enough to give me a few more details on what makes this event unique. What can guests expect at this event? The fundamental goal of the event is for guests to enjoy themselves and actually learn a bit about wine. In most tastings or dinners, particularly those put on by a winery, guests sample one wine per course of food, so there is no real comparison between wines. Furthermore, sometimes too much wine is poured, diminishing people’s palate sensitivity and attention span. This tasting is built around side-by-side comparisons of pairs of wines, highlighting attributes of the wines that might otherwise go unnoticed. People will also learn about why each course of food is complemented by the wine and why a different food selection might not work as well. I have been a wine hobbyist/aficionado for about 45 years. I am the original founder of the annual Santa Clarita Valley Wine Classic, which was first held in 1984, and I was the director for more than 10 years, and was a volunteer for several more years. This event benefits the COC Foundation. What is the money targeted for? One part of the COC Foundation is the Library Associates. The proceeds from this event will go to the Library Associates endowment fund. The College of the Canyons will present the inaugural SuperTasting Wine Dinner on Thursday, May 13 (2010) at The Salt Creek Grille. How does glass size affect your enjoyment of a good wine? Find out with a 2005 Napa Valley Hewitt Cabernet Sauvignon [the results may surprise you]. Does country of origin make a difference? You will sample two Sauvignon Blancs — one from New Zealand and one from the Napa Valley. What about vintage year? We have two vintages of a Napa Valley Chardonnay: 2007 and 2008. How different are similar varieties? Find out when we compare two Napa red wines from Beaulieu Vineyards: 2005 Rutherford Cabernet Sauvignon, and 2005 Rutherford Merlot. Of course, we can’t forget a dessert wine: 2007 Muscato from California’s Central Coast region. And with all this, there will be four courses of food specially selected and prepared to complement the wines.